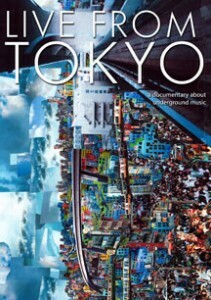 The musical acts featured in Live From Tokyo are largely unknown, but that’s the whole point of this documentary, which focuses on the underground music scene in Japan. From punk to electronica, the artists are unique, unusual and distinctly Japanese — and all of them are searching for the next new sound. Talking heads in and around the music industry discuss how the digital revolution of music lets anyone in the world see a musical act from Tokyo on YouTube, and social media sites such as MySpace give people the ability to listen to Japanese bands online. This also works in reverse, in that Japanese bands can access a wide variety of music from around the world, and many of them cite influences from America and Europe. 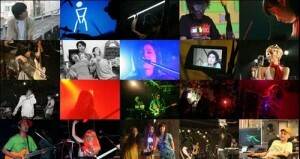 The film also discusses the business aspect of music, including the Noruma system, in which live houses, or music clubs, require that bands cover a certain cost through ticket sales or out of their own pocket. Since most bands end up playing clubs for the ability to perform, it demonstrates these bands’ passion for their music and their desire to share it with a live audience. Some of the live houses themselves are entertaining, including Muryoku Muzenji, a small music club in Tokyo that is run by a very eccentric man called The Muzenji Monk, shown in the film performing in his underwear. He describes his club as being so crazy, it resembles a mental institution. Enough said. The sole DVD bonus feature is a downloadable compilation of the featured artists. Cheryl Cheng reviewed DVD and Blu-ray titles for Video Business magazine and has a special place in her heart for foreign and independent films.